What has been the picture of third party support on the Wii U? It seems that late DLC, no DLC, missing modes, and selling last year's game as this year's, has been the way to go. Then follow that up with trying to justify poor sales by blaming consumers (or, even Nintendo), and canceling or delaying future titles? There are examples of publisher support that shouldn't be forgotten, wonderfully terrible examples in our opinion. How about a publisher releasing one game from a series on the Wii U for $60, but selling the entire series in a bundle on other consoles for the same price as the Wii U's single game version? And how about one publisher releasing the exact same game on all consoles at the same time, but pricing the Wii U version nearly 70% more than the other versions? Or, now even a more recent example, delaying only the Wii U version of a game that was already previously announced; despite the publisher doing exactly the opposite with a certain Wii U game in 2013? We are tired of hearing excuses from so many third party developers and publishers in regards to supporting the Wii U. We think it's a shame so many third party developers and publishers have provided excuses for not supporting the system, instead of providing examples. There's really only one way to dice some third party support of Nintendo systems: can't never could, and never will. 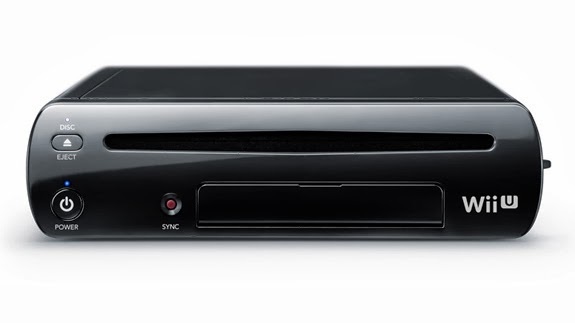 But, if you own a Wii U, you likely know that there have been some developers that have really taken their time in developing Wii U games, and been able to show some of the system's strengths. We hope to become a part of the developers that have shown how to make games better, on the Wii U with the Wii U GamePad. While the foundation of our company has started in central North Carolina, we will be using talent from around the world to bring great games to the Wii U (and hopefully, other Nintendo systems). We will be revealing our very first game in development for the Wii U, this Friday! Will you be hit by one of Cupid's arrows when you see it, and fall in love with the idea behind it? We hope so! This statement makes you think how this game developer started? They may have started the company is sole hopes of making the games they want on the Wii U since Third Party has had excuse after excuse. Cheers to AE for speaking the truth.